How to Prepare for the Consultancy Days? The Consultancy Days are coming up! On the 13th, 14th and 15th of November eight companies are offering you the opportunity to get acquainted with the different participating consulting firms. Therefore, we want to give you some tips on how to prepare for these days to make the most out of it. 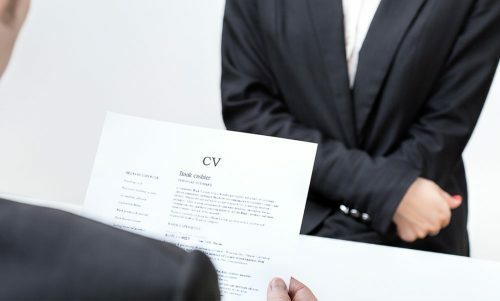 Tip 1: Prepare your CV (and yourself)! To attend workshops, business lunches and to get invited for individual conversations, CV selection is applied. Make sure your CV is up-to-date and looking fresh! If you have troubles with building your CV, you can use the consultation hours for job applications offered by the university. Tip 2: Touch upon some conversation topics! Think about what you would like to discuss with a potential future employer. What would you like to know? What interests you? Why would you want to work at a certain company? You can also think of questions you would like to ask at company presentations, or when attending a network drink. Take a look at the websites of participating companies to gain some information beforehand. Tip 3: Subscribe in time! The subscription deadline is the 19th of this month! So if you did not subscribe yet, don’t forget to do so in the coming week. The timetable of the activities is to be found on the website of the consultancy days. Also, presentations and workshops are on a first-come, first-served basis, so make sure to be in time. When you are invited to one of the activities, suit up and make sure you’re looking representable. The dress code is business formal. Some of the activities come close to a job interview so make sure you are giving your best impression!